De Villiers Walton had the in-depth skills we needed to help us realise our vision. Everyone loves a ‘buy one, get one free’ deal. Yet without smart reporting and intelligent financial planning, it would be harder for brand-owning businesses to support these offers: a reality that the SHS Group Ltd, a holding company within the fast-moving consumer goods industry, knows very well. The group, based in the UK and Ireland, incorporates twelve brand-owning or brokerage operating companies that represent own and external brands within the grocery trade. 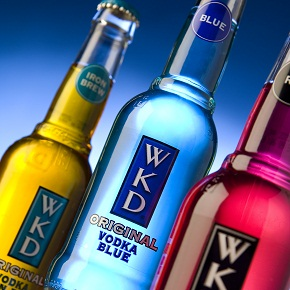 While it invests significantly in above-the-line spend on its own brands such as WKD, Shloer, and Merrydown Cider, its largest marketing investment is made in sales promotions, funding ‘buy one, get one free’ and other promotions with supermarket multiples, particularly on a seasonal basis. With different operating companies in distinct sectors and geographies, from an IT perspective a consolidated software system for the SHS Group was logistically harder to implement than it would have been for a business with a single brand or geographical location. Yet it was clear that an enterprise platform would allow the business operate in a more unified way. Following Acheson’s appointment, the SHS Group put SAP into operation for every one of its business processes across all territories and operating companies. It also implemented the fast-moving consumer goods trade promotion management (TPM) aspect of SAP. “From a business point of view, what we are doing is planning all of our marketing and trade spend in SAP’s integrated planning tool, then executing all of that trade spend in the customer relationship management (CRM) component of SAP,” says Acheson. The group uses SAP’s enterprise core component (ECC) to take orders. Information from this activity – including sales promotions – are all incorporated into the SAP Business Intelligence (BI) tool in the data warehouse, where all integrated plans for trade spend start. In large organisations in particular, the information generated from this accurate BI enables both chief financial officers (CFOs) and other board level directors to be better informed when they make important decisions about the future of the business. To ensure that The SHS Group Ltd was achieving the maximum benefit from SAP, they engaged SAP consulting specialists, De Villiers Walton, to undertake an Independent Programme Review and look closely at the Business Warehouse integrated planning module which was part of the existing SAP investment. De Villiers Walton was chosen because of its extensive experience in the SAP arena. “When we first met with The SHS Group, it had already begun its BI project but had not had the support it needed to make the most of the integrated planning module,” says co-founder and joint managing director of De Villiers Walton, Daneel de Villiers. In October 2009, The SHS Group implemented an account planning capability, using it to plan the trade spend that it would execute throughout all of its key accounts for the upcoming financial year, including how much was to be spent on each brand and each account. A follow-up project was undertaken by De Villiers Walton in November 2009, which added additional functionality to the SAP account planning module that allowed sales force account managers to re-forecast how much they were going to spend on promotion, and what they expected to sell on a monthly basis. “All through the year, we refresh our sales and promotional spend forecasts,” says Acheson. “Given that we spend tens of millions of pounds on trade promotions and rely on them to support £400m-worth of sales that really is the most important thing we do. “We have well over a hundred ‘road warriors’ working from home and visiting customers. The integrated planning module within SAP business warehouse is the tool that enables the sales team to take responsibility for the trade spend and the results they are getting on each account. “Every single SAP customer you might come across has enterprise core component (ECC) for accounts, but the further you get away from the centre, the more obscure the skill-sets become,” he adds. The expert team from De Villiers Walton applies a business-driven, ‘back to basics’ approach to its work that removes some of the complexities associated with SAP investments. According to Brian Acheson, while the SHS Group had worked with another partner in the past, it had been unable to help the organisation develop the BI functionality to the level it sought - despite significant investment being made. “De Villiers Walton had the in-depth skills we needed to help us realise our vision,” he says. “Until this point, we had not been able to implement it because of a scarcity of people who really knew what they were doing. “When De Villiers Walton came on board we had already developed our own in-house capability as well as an understanding of what we wanted to do and how we wanted to do it. We had even got as far as being clear on the business requirement, but what we needed was the technical knowledge to implement it. “Previously, we had been trying to do the whole thing as one big project and go straight to the end result without really understanding it,” says Acheson. “Breaking it down into small pieces helped us to regain our confidence by delivering something that was less than half the solution, but which worked and added value to the business, with a follow-up project planned that would give us re-forecasting capability. Brian Acheson is delighted with the results achieved by De Villiers Walton, which have helped to evolve his organisations’ IT roadmap and business needs. “We are now planning our annual trade spend much earlier in the year. We also have improved accountability because everything can now be done at a detailed level by the account manager who will ultimately be held responsible for the result. Reaction from within The SHS Group to the improved SAP BI solution has so far been extremely positive. “The general consensus is that this is what we always wanted and needed,” says Acheson. “Now we can stop telling each other stories and making assumptions – the figures are the figures. “This has also helped relieve some of the anxieties in the business as people can now see results at a detailed level. If there is something wrong, the information allows them to identify the problem and do something about it. Previously, the cycle-times were so long and the information was so imprecise that you were judging things at the end of the year when it was too late to do anything about it – you’d either done well or you hadn’t.